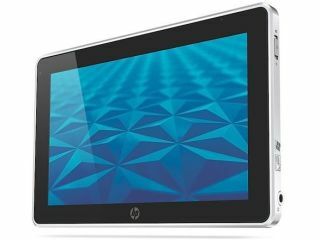 HP has finally taken the wrapper of its tablet device, the HP Slate 500, and announced that it is coming to the US. It's been a long time coming for the HP Slate 500. TechRadar managed to try out a prototype of the device at CES 2010 back in January and it has been 10 long months since that announcement. The last time we heard something about the HP Slate 500 was when a video of it in action emerged and we were, well, a little underwhelmed. The tablet is being pitched at business professionals and has been given some modest specs. Inside is an Intel 1.86GHz Atom Z540 processor, Graphics Media Accelerator 500 chip, 2GB of RAM and 64GB SSD. The resolution of the 8.9-inch screen is 1024×600 and thanks to a Broadcom Crystal HD accelerator, it should play hi-def content without a hitch. There are also two cameras on the HP Slate 500 – a VGA on the front and a 3MP camera on the rear. The tablet also makes use of a Wacom active digitizer, so the device is primed for note taking and it uses Windows 7 as its OS. The HP Slate 500 will be available first from the US for $799. A UK release date is not yet set, though. Apparently the Slate will be "evaluated for further market expansion". So, if you want one, you better hope the US take a shine to the device.